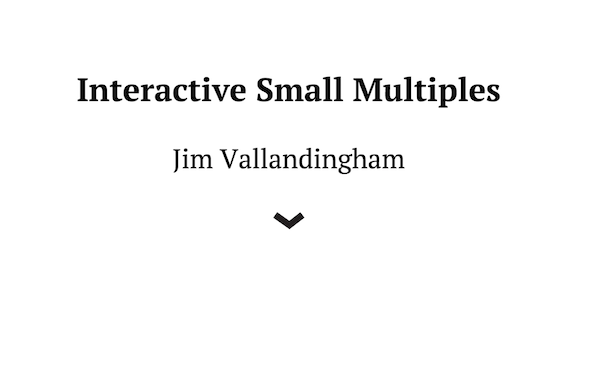 Based around the findings of my linked small multiples tutorial - I gave a talk about different types of interactions you can use with small multiples and how you might build one yourself. I gave this talk at Bocoup (to silence-is-golden rave reviews). I love talking about awesome visualization techniques like small multiples. If I can present this to your group - let me know!